Keith Christian Lister – of Wakefield, November 24th. Cherished husband of Patricia Ann (Cahill) Lister. Dear brother of Lawrence Lister, his wife Pat and sister Beverly MacKeigan, her husband Ted, all of Nashua, NH. Also survived by his beloved cat, Maggie, as well as many in-laws, nieces, nephews, cousins and friends. Relatives and friends are invited to his Funeral Service on Thursday, November 29th at 12 noon at the at Lynch – Cantillon Funeral Home, 263 Main Street, Woburn, Massachusetts . Burial will take place in Woodbrook Cemetery at the convenience of the family. Calling hours will be held from 4-8 p.m. on Wednesday, November 28th at the funeral home. Keith Christian Lister, 65, of Wakefield, MA died peacefully, Saturday, November 24th, at Melrose-Wakefield Hospital. He was the loving husband of 40 years to Patricia Ann (Cahill) Lister. Born in Woburn, Keith was a son of the late Vera (Christian) and William Lister. He was educated in Woburn and a graduate of Woburn High School. 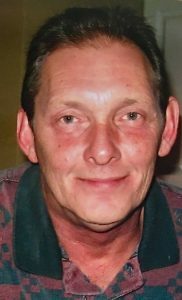 Keith was a carpenter by trade and worked for various companies including Seaver Construction and Bedford Air Force Base. Keith enjoyed history, music and especially spending time with family and friends. He was an avid reader with a huge appetite for knowledge. He also enjoyed trips with his wife which often included sister Eileen Bowman and husband Larry Bowman, and close friends Margie and Joe Silva. Keith was an easy going man with a great sense of humor that could brighten up a room. He would help anyone and was generous, loving and had a huge heart! Along with his wife Patricia Ann (Cahill) Lister, Keith is survived and will be deeply missed by his siblings, Lawrence Lister, his wife Pat and sister Beverly MacKeigan, her husband Ted plus many in-laws, nieces, nephews, cousins and friends. Relatives and friends are invited to his Funeral Service on Thursday, November 29th at 12 noon at the at Lynch – Cantillon Funeral Home, 263 Main Street, Woburn, Massachusetts . Burial will take place in Woodbrook Cemetery at the convenience of the family. Calling hours will be held from 4-8 p.m. on Wednesday, November 28th at the funeral home. My dear uncle Keith we will miss you. There are very few people in this world that could make me laugh like you could. It’s a special gift the way you could take an ordinary visit and make it extraordinary!! My thoughts and prayers go out to all family and friends.